Klock Entertainment has been a leading provider of photobooths for weddings, corporate and private events in the Harrisburg, York and Lancaster area, using multiple, HD, drapery-enclosed photobooths to capture the memories of thousands of couples and guests over the last few years. In May of 2015, we upgraded our arsenal to include a LA Photo Party station, giving us the ability to bring fun to any party in a few new ways. We recently teamed up with our friends from A-Sharp Production at a Bat Mitzvah at the Renaissance Allentown, a sleek and modern upscale venue in downtown Allentown. While A-Sharp took care of emceeing and getting the dance floor packed, we used our photo party station to bring multi-media entertainment and excitement to our guest of honor and her friends and family. Guests were able to take pictures in front of Big Ben in London, the Great Wall of China, and an Old West town right here in the United States. For the first time ever, we brought our light painting feature with our photo booth, which allows guests to create images using LED light, props and a few tricks of the camera. Most guests simply enjoyed the unique opportunity to be in front of a green screen, virtually travelling the world, winding up on the sets of iconic films and feeling like a movie star all along the way. 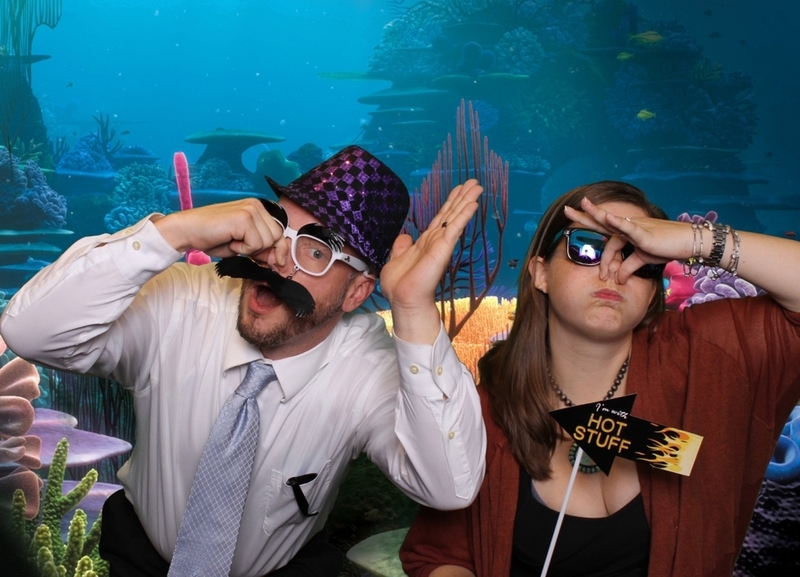 This new option for your party is the future of photobooths. The Photo Party Station has the capability to produce high-quality hashtag printing, place guests in front of greenscreen backgrounds and create personalized and detailed templates to frame your guests expressions and poses. It is a welcomed addition to any Bar Mitzvah, Bat Mitvah, Corporate Event and Wedding.